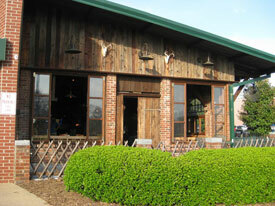 Gerhard's Cafe is a fine European-American restaurant. We are located right off East Main Street in beautiful Spartanburg South Carolina. Please take a look at our current menu filled with diverse offerings that will whet any appetite. Also make sure you don't forget about our extensive wine and beer selection! Gerhard and Mary Grommer established Gerhard’s Cafe March 13th, 1993. Gerhard's offers a wide variety of cuisine with a focus on Austrian and German traditional foods. Please contact us to make a reservation or to plan an event. Gerhard's Café is a Tradditonal European American Steakhouse and Seafood restaurant serving Spartanburg, Greenville, Greer and Asheville, South Carolina, as well as the surrounding areas.